A younger population can bring advantages such as attracting businesses, which will have a larger pool of working age residents to draw from. While recent data by the Office for National Statistics (ONS) show that the UK is facing an aging population, key cities remain a hub for the young. What difference does the age of a city make? With its beautiful, calming scenery and rich history and culture, the UK is home not just to the native Brit, but also millions of immigrants. Over the past 20 years, younger people have increasingly chosen to live in the urban areas of the UK, while the share of older residents has fallen. Statistics show that the UK’s edgy and lively cities remain a favourite among the younger generation with 62% of people aged 18 – 34 living in cities in 2016 compared to 58% in 1996. In contrast, the share of people aged 65 or older fell from 51% to 46% during this period. What draws the younger population to these cities? Job opportunities and expansion, good infrastructure, facilities and educational institutions — these are the essential pull factors. On the other hand, a younger population can bring advantages such as attracting businesses, which will have a larger pool of working age residents to draw from. Among the cities which have been getting younger, Oxford, Cambridge and Brighton have large shares of high-skilled, high-paying jobs, and all offer good access to quality schools. Manchester, the UK’s fastest-growing city, is Europe’s second largest creative tech hub with 70,000 people now working in the city’s creative, digital and tech industries. Like Liverpool, it is also home to some of the world’s leading universities, offering a huge cache of thinkers to future employers. It is in cities like these that purpose-built student accommodation are at high demand, offering commercial property investors opportunities to grow their wealth in this high-yielding and unique sector. In Bristol, for example, the number of students needing accommodation is projected to grow to 44,000 by the 2018/19 academic year. The growth can be attributed to the city’s two notable universities, the University of Bristol and the University of West of England, which make up a total of 40,000 full-time students. Little wonder that student property is a top investment in Bristol. Meanwhile, Liverpool’s £2bn vision to develop a world-class Knowledge Quarter will further reinforce its status as one of the best student cities in the world. The Knowledge Quarter represents an opportunity for significant future investment and regeneration, and will ultimately create more high-skilled jobs in the city. By attracting investment and creating jobs, people’s lives are improved and opportunities are created, thus attracting a greater number of young settlers and driving housing demand. Private Finance and Savills have now placed Liverpool and the overall Northwest as the top hotspots for buy-to-let investors with some of the highest comparative returns. Does this pique your interest to grow your wealth in cities with a youthful population? Speak to us and find out more. Or send us a comment below! Next week, we talk about cities with an ageing population and the opportunities they hold. Stay tuned. Where is the Best Place to Invest in UK Student Property? UK student property continues to provide rewarding returns to investors over the years. While the final numbers have not yet been released, Jones Lang Lasalle (JLL) had projected the total investment volume of UK student property in 2017 to be in excess of £5 billion as demand remains high. Recent data reveals that annual returns for student property between 2012 and 2016 reached an impressive 11.8%. Comparatively, in the same period, residential property was at 7.8% and commercial property, as a whole, at 7.4%. According to data gleaned from the ONS & UK HPI rental growth index, CBRE student accommodation index and IPD quarterly property index, UK student property delivered 10.2% total returns — a combination of 5.4% rental income and 4.8% capital growth. Annual returns for student property between 2012 and 2016 reached an impressive 11.8%, a far better performance compared to residential property and commercial property as a whole. Image credit: Property Partner UK. 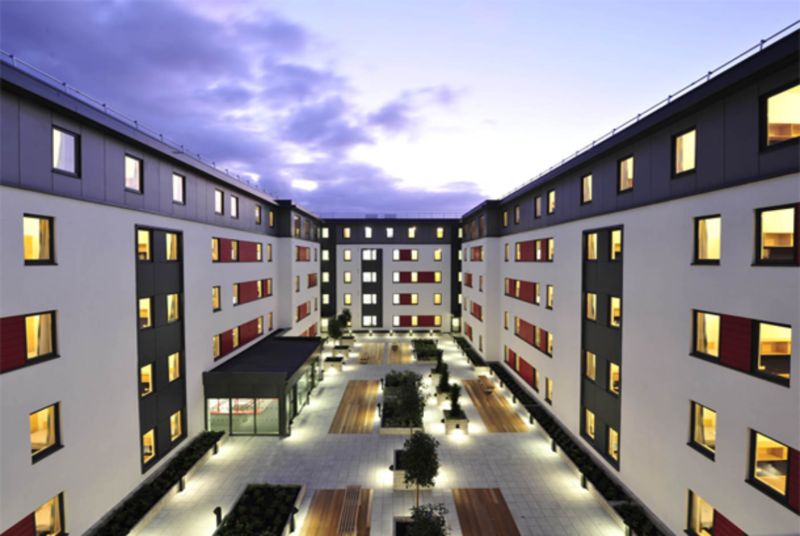 There was approximately £3.1bn invested in the UK purpose-built student accommodation market in 2016, making it the second highest year on record after the exceptional 2015, when 74,500 beds were traded at a total value of £5.9bn. While the final numbers have not yet been released, JLL had projected the total investment volume of UK student property in 2017 to be in excess of £5 billion as demand remains high. More students than ever are studying away from home, meaning the demand pool for accommodation continues to grow. In 2016/17 the number of students living in private accommodation increased to 141,210, a growth of 6.4% compared to the previous year. 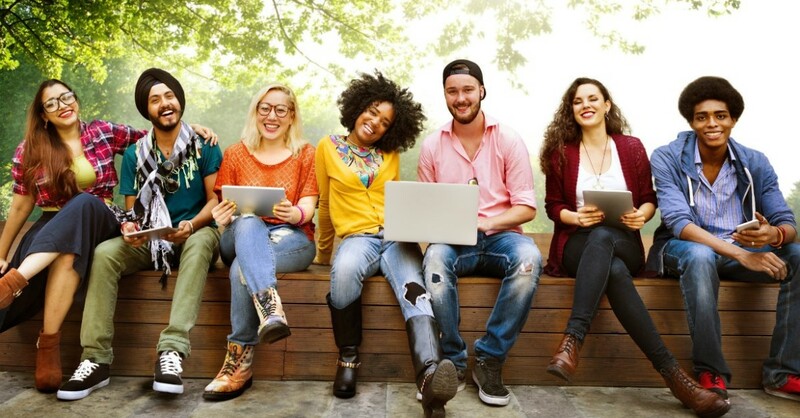 This trend is predicted to continue, fueled by the inability of university-managed accommodation to keep pace with student numbers, and a more discerning and affluent student population. 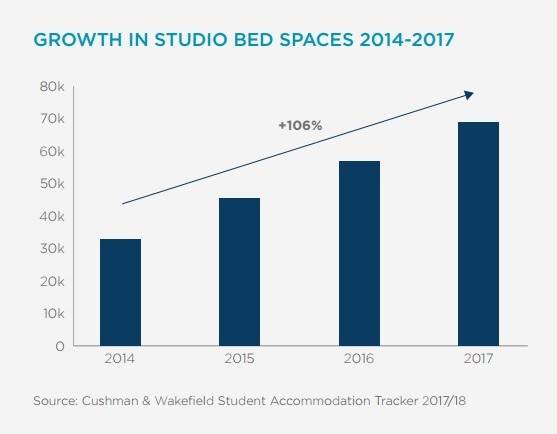 A chart by Cushman & Wakefiled on the growth of studio bed spaces from 2014- 2017. Image: Cushman & Wakefield UK Student ccommodation Report. UK universities continue to recruit an increasing number of students from outside the UK, with EU students growing by 48% and international students by 70% over the last decade. There are now over 397,000 students from outside the UK, making up nearly one quarter, or 23% of the student population. Dan Gandesha, founder of investment platform Property Partner, said that during tough economic cycles where it’s harder to secure a job, people are more likely to go to university and extend their studies. This, he said, increases demand and while the number of places does not spike, it does help underpin the demand for student property. “Having those counter-cyclical characteristics is quite unusual for an investment class. It’s very different to (other) commercial property. Residential property to some extent isn’t affected in the same way, but it doesn’t have the same attributes of student property, whereby the numbers and the demand go up (in a downturn),” Gandesha added. To get the best returns, investors of UK student property should pay attention to cities where universities have plans to grow and relocate campuses, as well as look at cities where the supply and demand balance is favourable. Better value investments can be found in historic and emerging regional locations that have good quality infrastructure and institutions with excellent track-records in education. For instance, the University of Bristol is planning to invest £300m over the next five years in its brand-new Temple Meads campus, which will be able to accommodate an additional 5,000 students, boosting the demand for student property in the city. Liverpool’s £2bn vision to establish a 450-acre Knowledge Quarter will further reinforce its status as one of the best student cities in the world. The Knowledge Quarter will encompass Liverpool John Moores University, the University of Liverpool, Liverpool School of Tropical Medicine, Liverpool Science Park, the new Royal Liverpool University Hospital, and will transform the area into one of the world’s leading innovation districts. These new innovations will prove to be a draw to students and working adults alike, fueling opportunities for investors of buy-to-let and purpose built student accommodation. Birmingham has seen a record rise in the supply of student last year and is now home to 21,000 bed spaces, according to Cushman & Wakefield’s UK Student Accommodation Report. Birmingham is second-largest student city in the country after London, with a student population of around 65,000. The University of Birmingham, Birmingham City University, Aston University, University College London and Newman University are all situated in the city, keeping demand for student accommodation high. With a current demand ratio of 1 student to 3 beds, UK student property is poised to remain a top investment asset class in the commercial property sector for some time to come. The counter-cyclical nature of this unique asset class, coupled with the UK’s world class education system (and the currently lower pound due to Brexit) will keep the flow of international students coming. The 2018 Oscars was, in its own way, an homage to British history and talent, following the announcement of several British winners. For as long as you and I have been alive, the UK has been a superpower. The expanding crosses of the Union Jack seem to be mirrored by Britain’s far-reaching hands of success into pretty much every industry: education, manufacturing, culture, fashion and more. And, if the 90th Academy Awards is anything to go by, then Britain’s film industry has surely demonstrated its triumph in the form of several golden statuettes. Dunkirk, Christopher Nolan’s depiction of the Dunkirk evacuation in World War II, managed to scoop three out of seven awards it was nominated for, which are Best Film Editing, Best Sound Editing and Best Sound Mixing. Following in Dunkirk’s success is Darkest Hour, a British war drama regarding Winston Churchill’s account of his early days as Prime Minister during World War II. For this, English actor Gary Oldman won Best Actor in a Leading Role for his portrayal of Winston Churchill while Kazuhiro Tsuji took the award for Best Makeup and Hairstyling. Phantom Thread, a film set in the glamour of the 1950’s British fashion scene, most deservingly received Best Costume Design while The Silent Child, a British short film, took the award for Best Short Film (Live Action). The Oscars this time around, most definitely proved the UK is home to many talented artists and a thriving film industry — Christopher Nolan, director of Dunkirk amongst many other famous movies, revealed in Total Film that he was adamant that all of the cast be British for Dunkirk, which, evidently, worked out well in terms of film success and historical accuracy. Nolan himself was raised in Westminster, UK, crediting his own trip across the channel to Dunkirk and his knowledge of Britain’s rich history, for inspiring him to make the film. Inspiration for the Darkest Hour came quite the same way, with the film’s equally decorated English director, Joe Wright being enamoured by Winston Churchill, and his interesting leadership qualities. It goes without saying how important the filming locations were in bringing historical movies such as the Darkest Hour to life. Manchester, the second largest city in the UK, was featured heavily in the movie. Permission to film in Manchester Town Hall and John Rylands Library in the University of Manchester, which doubled for a World War II-era House of Parliament, provided the crew of the Darkest Hour the perfect solution to their location hunt. Screen Manchester was recently established as the city’s official film office, to support location filming in the area. Along with Manchester’s brand new film office are many other film offices and studios spread out across the country, proving that the UK has a good eye for spotting industries that provide great returns. Not surprisingly, Manchester is home to the fastest-growing creative industry in the UK outside London, with some 48,515 people working in industries such as design, film and TV, publishing and architecture. Many defining achievements in science and technology come from Manchester, too. It is where the world’s first IVF baby was conceived, where they split the atom and isolated graphene. Manchester’s staggering development makes it an attractive place for investors looking for the next big thing to invest in. With all this economic progress happening in Manchester (and most of the UK, as proven with a little more research) one would be regretful not to take a look at the UK’s booming property market following high demand for more housing spaces. Should your interests extend beyond the Oscars and into real estate, please feel free to contact us. We can definitely help you with that! 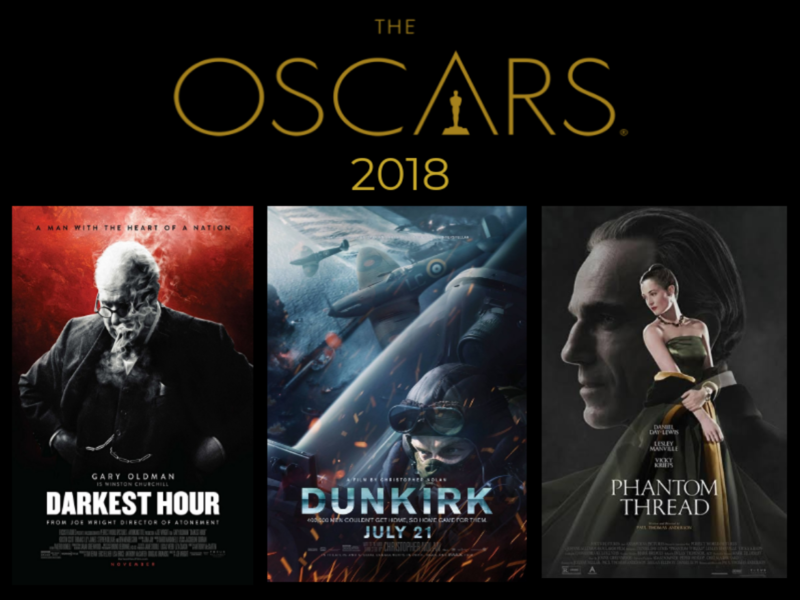 What did you think about the Oscars 2018? Do you agree that the UK has much talent? Share with us your thoughts in the comment box below! 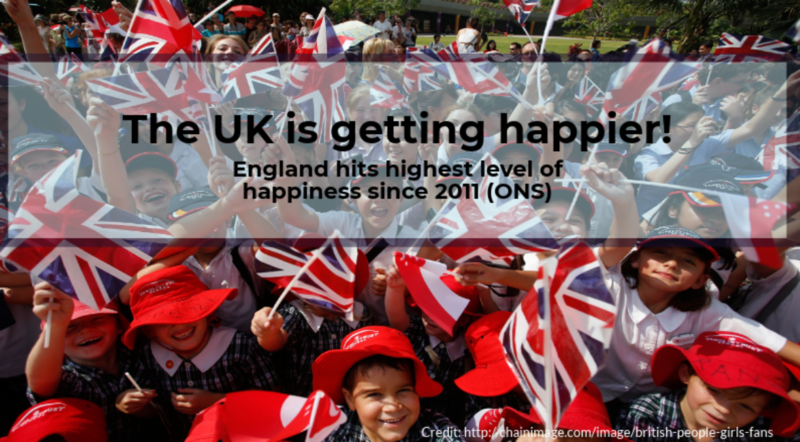 Despite concerns over the uncertainty of Brexit and the effects it might have on household budgets, the Office for National Statistics (ONS) has reported that England has hit its highest level of happiness since 2011. Despite concerns over the uncertainty of Brexit and the effects it might have on household budgets, the Office for National Statistics (ONS) has reported that England has hit its highest level of happiness since 2011. On the other hand, there have been no significant improvements in happiness in neighbouring Scotland, Wales or Northern Ireland. The method of research is fairly simple, depending entirely on citizens self-reporting their feelings; those aged 16 and over were asked to rate their “happiness”, “anxiety” and “worthwhile” levels out of 10. The results from 2011 showed that for the most part, England’s overall happiness was faring well at an average rating of 7.29. Interestingly, this figure has now risen to 7.52. In terms of feeling “worthwhile” the average score has risen from 7.67 to 7.87. Even anxiety levels have dropped from 3.13 to 2.92 — why is this the case? It seems that England’s citizens have been, even with misgivings that accompany economic unpredictability, finding their own reasons to continue thriving. Happiness Level: UK vs other countries? In a dispatch called the World Happiness Report 2017, an initiative of the UN’s Sustainable Development Solutions Network, a group of independent experts including economist Jeffrey Sachs surveyed people in 156 countries to find out how highly they evaluated their lives on a scale from 0-10. The top 5 spots were taken by Nordic countries; Norway tops the list, followed by Denmark, Iceland, Switzerland and Finland. The UK found itself taking the 19th place, right after Luxembourg. Worth noting is Australia’s title as the 9th happiest country in 2017 as it is also home to the World’s Happiest and Most Liveable City, Melbourne. While explanations for this list are naturally complex, experts have condensed them roughly into six factors: income, healthy life expectancy, having someone to count on in times of trouble, generosity, freedom and trust, with the latter measured by the absence of corruption in business and government. Evidently, the UK has managed to remain resilient in the face of uncertainty following Brexit — if the citizens are getting happier, something must be working right! Need to up your happiness level? Invest in England and get a slice of that happiness! For more information on the property market in the UK, check these articles out: https://csiprop.com/uk-property-outlook-2018/ and https://csiprop.com/regional-uk-property-tops-price-growth/. This month, a Scottish property developer signed a £500m joint venture with a US company to build student accommodation across the UK. The Glasgow-based Structured House Group (SHG) said the agreement with Harrison Street Real Estate would lead to 5,000 apartments being built over the next five years, with potential sites already identified in the northwestern cities of Manchester and Liverpool, and Scotland. Many institutional investors, both private and state-owned, are pouring money into UK student property, also known as purpose-built student accommodation (PBSA), today. According to latest figures by the IE Business School in Madrid, sovereign wealth funds have quadrupled their investment in student housing in both Europe and the US, from under 4% a year between 2011 and 2015 to more than 15% in 2016. The sharp increase in investment in the sector is based on the potential growth of wealthier middle classes in emerging economies looking to send their children to study abroad. In 2015 and 2016, Malaysia’s Felda Investment Corp Sdn Bhd (FIC) launched two investments in the student accommodation market in London worth £168 million. And from Singapore down south, Mapletree and GIC spent a combined £1.2 billion on student housing in the UK in 2016, in cities like Leicester, Birmingham, Nottingham, Oxford, Edinburgh, Manchester and Lincoln. Singapore holds the title of being the largest investors in student property in UK (and beyond) in recent years. UK student property is regarded as one of the strongest investment platforms today, surpassing other traditional real estate classes. There an acute undersupply of student housing in the UK due to restrictions in building permissions, a challenging planning environment and the government’s support for housing development. This limits the existing residential housing stock that is available for students to rent. Universities face many of the same problems with building student halls. Students are typically only guaranteed their first-year of accommodation, and left to seek a room of their own after that. Purpose-built student accommodation, thus, are designed to not only solve the dual problems of inadequate university-managed accommodation and residential housing to let, but to go further, and provide a higher standard of living for the discerning student. In 2016-17 the number of students living in private accommodation increased to 141,210, a growth of 6.4% from 132,720 last year. This trend is predicted to continue, fuelled by the inability of university-managed accommodation to keep pace with student numbers, and a more discerning and affluent student population. Unite Group reports that 85% of second year undergraduates are now looking for quality, purpose-built student homes that fulfill all their needs (including peace and quiet and access to night-life). CBRE statistics shows that student accommodation generally has occupancy rates of about 99%, and, for investors, tenancy is virtually assured. By 2017, the UK student accommodation market was estimated by Knight Frank to be worth some £46bn and growing. James Pullan, Knight Frank’s head of student property said that there are more investors in the sector now than there has ever been. “It is one of the few sectors in the property world that has delivered consistent rental growth every year since the economic downturn. More than 70% of investment is coming from overseas buyers, from sovereign wealth funds and ultra high net worth individuals (people with investable assets of more than $30m) and private equity,” he said. UK student property used to be the sole domain of the institutional investor. In recent years has it been packaged to be accessible by the individual investor, adding to the appeal of this investment class. Its price points are affordable at approximately £65K onwards per unit, which is a steal compared to the price of a London apartment which easily costs more than £500K — and which cannot fetch annualised returns that come close to the 8% that UK student property can. Meanwhile, students continue to enrol into UK’s higher education institutions. The Government’s removal of the student cap will maintain a steady stream of foreign students applying to study in Britain, buttressing demand for proper accommodation and providing opportunities for investors. In 2015-16, there were almost half a million non-EU students in the UK, about one-fifth (19.2%) of the 2.3 million total. In the 2017/18 academic year, non-EU applications had risen by 2.2% even while EU applications had fallen ostensibly due to Brexit. The Higher Education Statistics Agency (HESA) reports that entrants to full-time first-degree, postgraduate taught and postgraduate research courses have increased considerably in the past 10 years (by 31.2%, 30.5% and 25.7%, respectively), and the proportion of 18-year-olds applying and entering higher education were at record levels. London’s full-time student population alone is expected to rise by 50% in the next 10 years, whilst regional cities, particularly where there is a Russell Group university, is expected to see dramatic increases in student numbers. EU and non-EU students are the fastest growing segment, bringing a net benefit of £2.3 billion per annum to London’s economy supporting 60,000 jobs in the capital. Ultimately, investors are in it for the returns: UK student property can fetch yields of more than 8% annually. Additionally, PBSAs are categorized as commercial property and, thus, benefit from tax exemptions that residential property does not qualify for. This allows the return on investments to be higher than other classes of real estate. In 2017, market transactions exceeded that of 2016 at £3.61 billion, but , with a further £1.05 billion under oﬀer (unlike 2016) and £1.5 billion in the market, double the totals for 2016. What makes PBSA such a property hotspot, at the end of the day, is the combination of internationally respected higher education, structural undersupply and steady rental growth. It has proven to be recession-proof and will be Brexit-proof, too. This offers investors a safe and stable place to put their money. The number of students needing accommodation in Bristol is projected to grow to 44,000 by the 2018/19 academic year. Growth can be attributed to the city’s two notable universities, the University of Bristol and the University of West of England, which has a combined total of just over 40,000 full-time students. These two institutions have driven Bristol’s continued demand for student accommodation, providing a prime opportunity for developers and investors. The University of Bristol, in particular, is a member of the prestigious Russell Group of Universities, which represents 24 leading universities in the UK. Ranked 9th in the UK according to the Times Higher Education League Tables, the university has long experienced high student demand and seen a 20% increase in applications since 2012. The Universities and Colleges Admissions Service (UCAS) has named it the 6th most oversubscribed university n the UK — demand for places at the university exceeds even that of the world-famous King’s College London or Queen Mary University of London! Adding to the allure is the value a University of Bristol degree holds in the working world. A research by Savills has shown that British universities boasting high graduate salaries see a bigger increase in applications over the past five years, compared to the rest. The research reports that graduates from the University of Bristol are most likely to go on to jobs that pay £2,700 above the average in the UK. The University of Bristol is currently embarking on an ambitious expansion of its facilities, which includes plans for a brand-new campus right in the city. The £300m million Temple Quarter Campus will be situated next to Bristol Temple Meads train station, in the centre of the Bristol Temple Quarter Enterprise Zone, one of the largest urban regeneration projects in the UK. Once completed, it will provide study places for 5,000 new students, which will starkly increase the city’s demand for student accommodation. The new campus is expected to open in time for the start of the 2021/22 academic year. Currently there is a significant demand for student accommodation in the city. Savills puts the city of Bristol in its first-class tier, or top 12 cities in the UK for investment in the commercial purpose-built student accommodation sector, based on the current and future projected supply of student property, demand, affordability and potential for rental growth. Backing up Savills’ research is a study by Sellhousefast.uk, which places Bristol in the top 20 cities in the UK by demand for student accommodation, at a ratio of about 1 bed to every 2 students (1:1.93). Investors who invest in Bristol student property can expect favourable returns on their investments. According to the Cushman & Wakefield Student Accommodation Tracker 2017/18, en-suite rents in Bristol went up by 4%, tying with Birmingham as the highest increase of all cities in the UK. 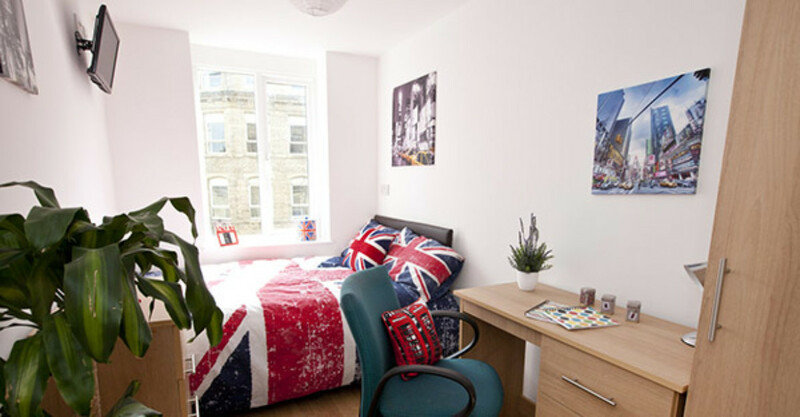 En-suite bed spaces represent 56% of the student property market, whilst studios account for 12% of all beds. James Pullan, head of student property at Knight Frank, says Bristol is structurally undersupplied. 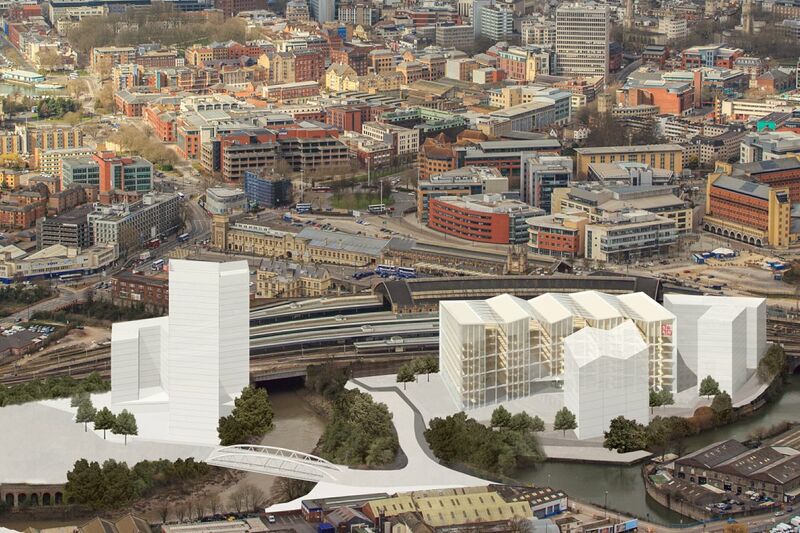 “As is apparent from the figures, Bristol needs purpose-built accommodation. It doesn’t have enough. If you look at the university projections, it still needs more. The market would not be saturated if another 4,000 beds came to market,” he says. There’s much more to Bristol than top-notch universities, which makes it a great place to live and work in. 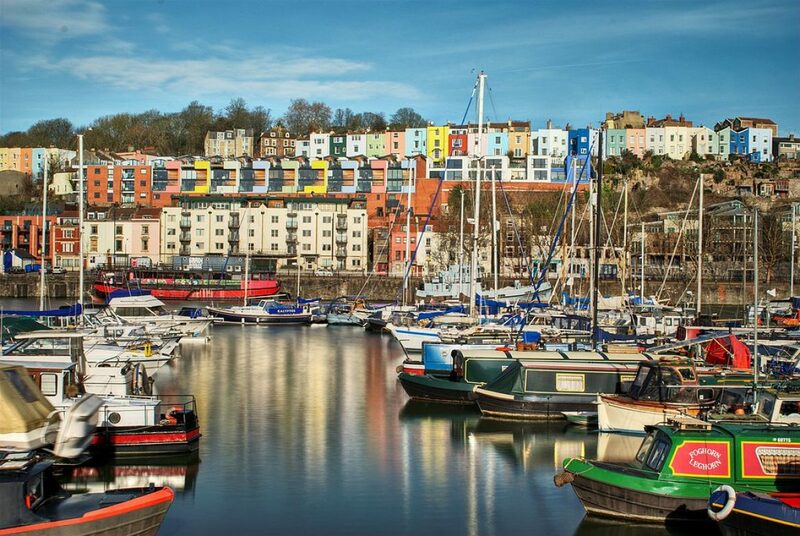 Bristol has been voted the best place to live in the UK by the Sunday Times in 2017. It was announced as the Green Capital of Europe for 2015 and has numerous eco-friendly projects, from fish farms and tidal generators to the infamous ‘poo bus’ — a bus powered by methane generated from the Bristol Sewage Treatment Works. 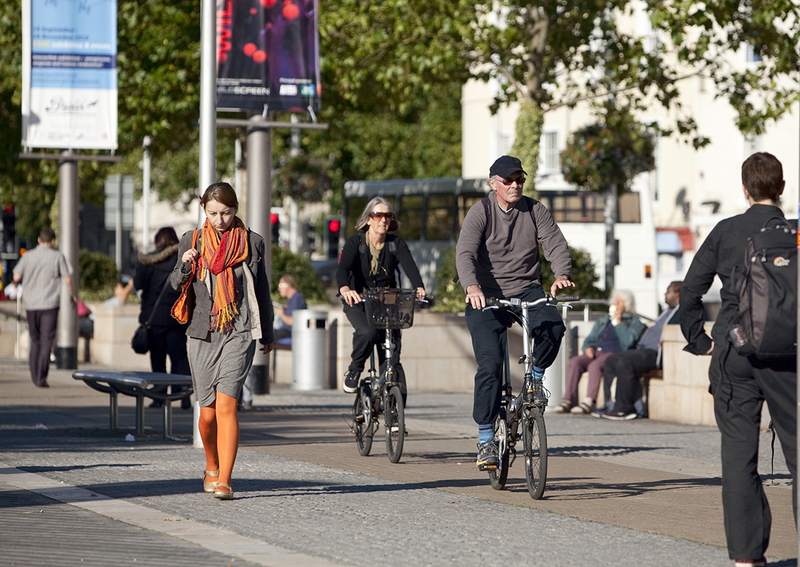 Bristol also has the reputation of being England’s first “cycling city”, with a report stating that 24,000 cars are kept off the streets everyday, thanks to cycling. Economy-wise, Bristol performed strongly in 2016, recording a 2.4% increase in YOY economic growth and moving into 10th place in a league table for city growth, according to a study by the Centre for Business & Economic Research (CEBR). The report projects Bristol’s economy to grow 15.7% by 2026. Jobs are also being created in the city, and accessibility, increased. The Bristol Temple Quarter Enterprise Zone, a 70-hectare enterprise zone in the city is expected to draw talent from the creative, high-tech and low-carbon industries. Since 2012, over 3,000 people have come to work in the Enterprise Zone. The target is 22,000 jobs over the lifespan of the project. The Temple Meads railway station, which is being redeveloped by Network Rail to be a brand-new transport hub, will improve access to surrounding neighbourhoods and the city beyond. In conclusion, there is a significant market for the commercial student property sector in Bristol, and investors can capitalize on that. The student population is set to increase over the next few years, and the current lack of supply of student beds gives great potential for growth in this sector. The residential property sector, meanwhile, looks to benefit from increasing jobs created in the city. In 2017, low mortgage rates and healthy employment growth continued to support demand for property, whilst supply constraints provided support for house prices. However, this was offset by the looming Brexit and mounting pressure on household incomes, which exerted an increasing drag on confidence as the year progressed. As we go into 2018 with no indication that a Brexit deal is about to be reached, some uncertainty still plagues the property markets. Nevertheless, investor confidence has returned, as can be seen from the recent price recovery. In this article CSI Prop analyses the current trends and predictions of the property market for the year. 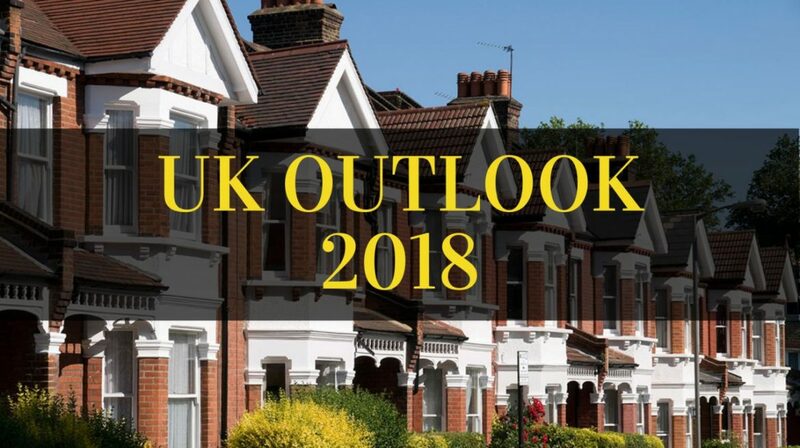 CBRE’s 2018 Market Outlook forecasts continuing economic growth for the UK, despite the uncertainties caused by Brexit. The report states that those uncertainties are likely to peak this year. Some sectors will weather the uncertainty well, including industrials and the so-called ‘beds’ sectors (build-to-rent, hotels, student accommodation and healthcare). This is because these sectors exhibit non-cyclical characteristics, or serious mismatches of supply and demand, or some form of structural change. In its annual market housing forecast, the Royal Institution of Chartered Surveyors (RICS) said that house price growth in the UK would slow with the number of transactions falling slightly, driven by political and economic uncertainty surrounding Brexit and the lack of available stock. However, despite these factors weighing on the market, the chronic undersupply of housing is likely to support prices, the organisation said. RICS expects prices to drift higher in some parts of the UK with the strongest gains in Northern Ireland, Scotland, Wales and the northwest of England, which includes cities such as Manchester, Sheffield, Liverpool and Newcastle. But, a slump in asking prices across London and the South East will drag down prices in the rest of the UK so that overall growth remains flat. The Government recently announced its ambition of building 300,000 homes a year in the Autumn Budget alongside a tranche of policies aimed at increasing the housing supply. However, RICS said that as many of these measures won’t come into effect until the mid-2020s, they will do little to alleviate the immediate housing crisis. In 2018, the Office for Budget Responsibility expects a 3.1% increase of house prices across the UK, with prices bolstered by first-time buyers benefiting from the stamp duty cuts. Countrywide, the biggest agency in the UK, thinks prices across the country will go up by 2%. More conservatively, real estate firms Savills and JLL both predict a rise of 1%. Of the two big lenders that operate well-known price indices, Nationwide said it expected property values to be broadly flat in 2018, with perhaps a marginal gain of around 1%. Halifax allowed itself some wiggle room, predicting UK growth from 0% to 3%. However, in January 2018, the market has, so far, outperformed expectations. Rightmove stated that the average price of a property coming on to the market has gone up by nearly £2,000 compared with last month. The Office for National Statistics (ONS) reports that the average house price in the UK as a whole was £226,000, up 5.1% YOY. 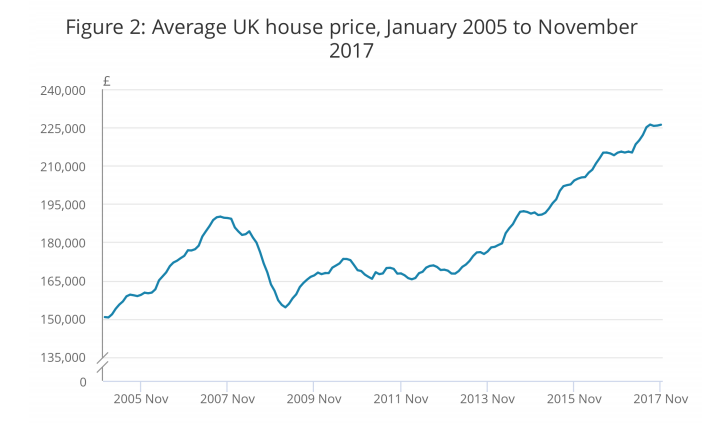 Average UK house prices from January 2005 to November 2017 (Souce & credit: ONS). Public confidence in the market has risen beyond initial forecasts, and we think that the outlook for the market, as a whole, is positive. Homes in the capital sold for an average of £482,000, an increase of 2.4% (£11,000) in 2017, according to the latest figures from Land Registry and ONS. London’s house prices remain the highest in the country but the capital continues to experience the weakest price growth as buyers continue to be held back by affordability constraints. Richard Snook, senior economist at PwC commented: “Continuing the recent regional trend, London is the weakest performer. House prices have now declined for four consecutive months, from the high of £490,000 in July to £482,000 in November. “But due to growth earlier in the year, prices are still 2.3% higher than 12 months ago,” he said. The strong 5% (£11,300) increase in house prices was thanks, in part, to strong annual growth in the regional markets. This increase was led by the West Midlands region, where the average sold price was £192,000, which is 7.2% higher than a year before. Manchester had one of the highest price growths, up 12.7% with an average sale price of £175,312, whilst Liverpool gained 10.8% (£131,707). Sheffield was up 8.1% (£160,974) with Birmingham at 7.8% (£177,728). London was a drag on overall growth, with the central city having a drop of 10.9% (£729,134). The figures also showed rises in lending to home movers and remortgaging, despite the Bank of England’s decision to raise the base rate to 0.5% last November. “The data shows housing market activity remains buoyant, despite November’s rise in the base rate,” said Paul Smee, Head of Mortgages at UK Finance. “Steady increases in lending for house purchases together with increases in homeowner remortgages reflect a keenness among consumers to benefit from still historically low interest rates, and a highly competitive marketplace,” he said. Meanwhile, the B16 postcode — Ladywood, in Birmingham, named last year as having the highest levels of child poverty in the UK — has seen the sharpest rise in property prices, according to Barclays Mortgages. They rose by 17% in 2017, as buyers snapped up cheap homes. The Office for National Statistics says Brum lured 6,510 Londoners last year, with 5,280 going back to the capital, thanks to employers such as HSBC and HS2 expanding in the city. Hometrack says that in Glasgow, Liverpool and Newcastle, the current house-price-to-earnings ratio is lower than the 15-year average, which makes them good value ahead of likely increases in the longer term. 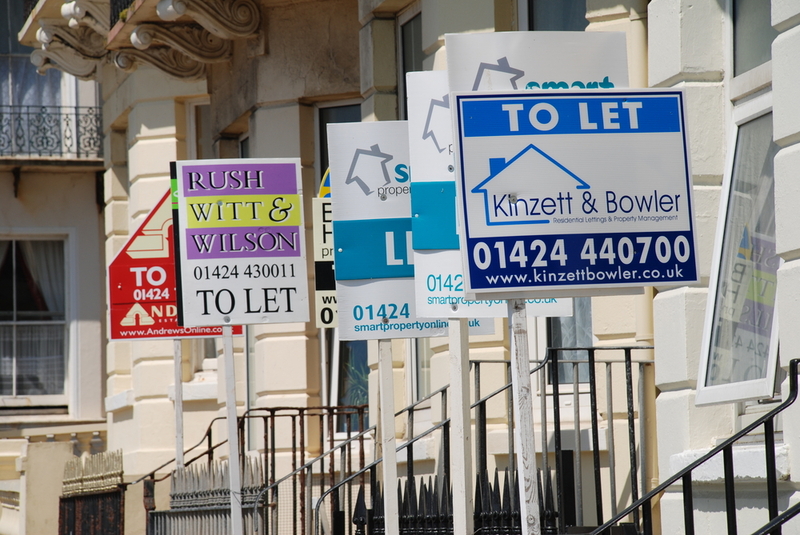 The buy-to-let market has faced tougher taxes and mortgage affordability criteria over the last year. The introduction of the stamp duty surcharge on additional property, changes to tax relief and tighter lending criteria have cut into landlords’ pockets. However, irrespective of the support provided by the Bank of Mum and Dad and Help to Buy, little has changed for the deposit-constrained first-time buyer and the demand for rental stock will continue to grow. Savills identifies Birmingham, Manchester and the overall Northwest as the top places for buy-to-let investors, with the highest comparative returns. They predict a 4.5% average annual return for Birmingham and Manchester, and 4.1% for the Northwest. 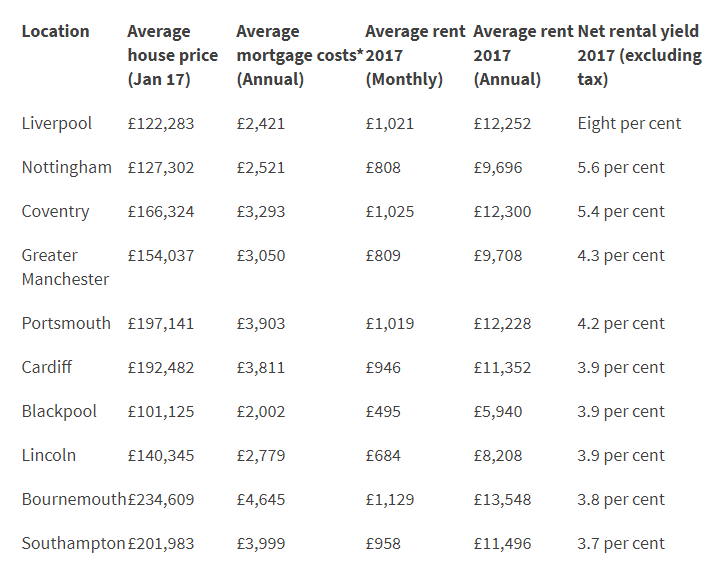 Comparatively, mortgage brokers Private Finance place Liverpool at the top for nett rental yields in 2017 once mortgage costs are taken into account, at a whopping 8%. Manchester here is in fourth place at 4.3%. With lower supply, and increasing demand as house prices continue to be out of reach for the majority of first-time buyers, the buy-to-let market remains lucrative for investors. We see the property market as a whole on recovery from Brexit in 2018, and investors can get the best returns from investments in the regional markets. Experts and industry players are clear that the increase in interest rates will not have too adverse an effect on the property market. In fact, the UK’s property market will take the rise in its stride, according to ratings agency Moody’s. The official bank rate in the UK has been lifted from 0.25% to 0.5%, the first increase since July 2007. The move reverses the cut in August of last year, which was made in the wake of the vote to leave the European Union. Even with the increase, interest rates still remain at historic lows. To lend some perspective, Malaysia’s interest rates are at a high 3%, while the interest rates for Australia and Singapore are at 1.5% and 1.1%, respectively. Higher interest rates increase the cost of borrowing money, which moderates economic growth and brings inflation under control.The panel which sets interest rates, called the Monetary Policy Committee (MPC), has justified the rate increase by pointing to record-low unemployment, rising inflation and stronger global economic growth. Bank of England governor Mark Carney stated that the UK economy is expected to grow at about 1.7% for the next few years. He said this would require “about two more interest rate increases over the next three years”, taking the official rate to 1%. The Bank of England (BOE) has been reluctant to raise interest rates until now, arguing that inflation had been boosted by the fall in the value of the pound since the Brexit vote in June of last year. OBR predicts inflation will peak at 3% this quarter before falling back towards its 2% target over the next year. Expectedly, the increase in interest rates will cause knock-on effects in the UK property market. Homeowners on variable rate mortgages, whether it is a standard variable rate or a tracker rate, will be most affected. However, homeowners whose mortgages are on a fixed rate will not be affected by the rate hike until they remortgage their property. Higher mortgage payments caused by rising rates can put less households in reach of a mortgage (loan). The lower competition can reduce demand for property which will in turn slow down property price growth. Correspondingly, the market for rental properties will increase as people who might have bought a house can now only afford to rent. This, from the investor perspective, is a good thing. Surveys from major mortgage lenders Halifax and Nationwide have painted a buoyant picture of the housing market. Halifax reported that house prices in the UK were rising at their fastest annual pace since February, up 4.5% to a record £225,826. Nationwide’s house price index also showed prices picking up in October, to an annual rate of 2.5%, the highest reading recorded in three months. Savills predicts the housing market will grow by 14% from 2018 to 2022 based on an assumed Bank base rate of 2.25% by 2022. The north-west of England is set to experience the fastest price growth in the UK over the next five years: a surge of 18.1%. Savills also forecast that rents are set to grow faster than house prices in London for the first time since 2011. They are forecast to rise 17% over the next five years, despite a 3% fall this year. Virata Thaivasigamony of property consultancy CSI Prope commented, “The interest rates are now still very low, so it’s a good time to get into property. The fact that the UK is increasing interest rates at this time is a great statement of confidence in its economy, that Brexit is no longer a cause for concern. Interest rates remaining near historic lows bodes well for buyers, and today’s market still reflects some of the cheapest debt a property buyer will be able to attain in the market. The abolishment of the stamp duty for property up to £300,000 in the recently announced UK Budget will largely benefit first-time house buyers as well as investors/ current owners. 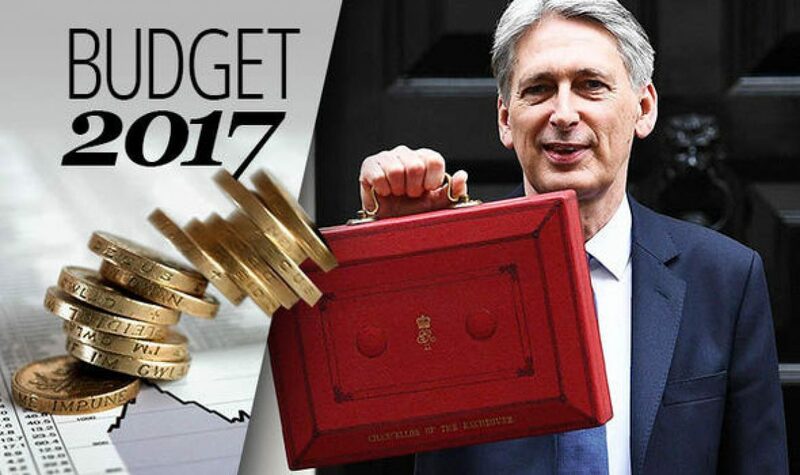 The UK Budget, announced just a few days ago, was billed the ‘Housing Budget’, with housing placed at the heart of the British government’s spending plans. Chancellor Philip Hammond announced that more money will be poured into housing over the next five years to ensure that land is available, that homes, including affordable homes, and supporting infrastructure will be built where needed. But the real headline-grabber was the abolishment of the Stamp Duty and Land Tax for first-time buyers, which is effective immediately. Stamp duty and land tax is a lump sum payment imposed on purchases of property or land over £125,000. The tax rate varies depending on the value of the property. The new Budget stipulates that stamp duty will not be imposed on purchases of property priced up to £300,000 outside London. Meanwhile, in high priced areas like London, exemptions will be availablle on the first £300,000 of the purchase price of properties up to £500,000. The Chancellor said that this is effectively a stamp duty cut for 95% of first time buyers and that going forward 80% of first time buyers will not pay the tax. The Chancellor introduced the policy after it was revealed that the number of people under 45 who own their own home has fallen by 20% since the Tories took power seven years ago. While the new policy will largely benefit first-time house buyers, investors will benefit, too, as demand will push up property prices, which, together with the inherent lack of supply, will continue to drive people to rent. This will keep the rental market strong. “The abolishment of stamp duty for property under £300,000 will fuel a spike in the prices of homes within this range due to increased demand and a rush to buy currently available property within this price range,” says CSI Prop spokesperson Virata Thaivasigamony. “It’s a double-edged sword and boils down to housing availability. The reality is that there is a housing undersupply in the UK with little likelihood that supply will increase in such a short period,” he adds, alluding to the Chancellor’s pledge to increase construction of new homes to 300,000 a year on average by the mid-2020s (up from 217,000 last year). The secretary of state responsible for housing, Sajid Javid, has said that up to 300,000 additional homes must be built in England annually, up from about 150,000 in 2015 and a little more than 220,000 over the past year. Some industry players say this looks increasingly unlikely given the significant national deficit and ongoing debates over green belt construction. The Office for Budget Responsibility said that the tax break could push property prices up by approximately 0.3%, with most of the increase coming in 2018. It also said that it is the current property owners who would be the main gainers of the new policy. HMRC has also confirmed in a statement that while the new stamp duty policy reduces the upfront cost of buying a home for first time buyers, it is also expected to lead to an increase in house prices in the first year after implementation. Meanwhile, with the increase in prices and undersupply in housing comes a continued demand for the private rented sector. The Property Wire quotes Andrew Turner, chief executive of brokerage Commercial Trust Limited, as saying that there could be a higher demand for private sector homes in Birmingham, Manchester and Liverpool where landlords are already enjoying higher yields than in London. The Royal Institute of Chartered Surveyors (RICS) has predicted that 1.8 million more households would be looking to rent by 2025 as a result of increasingly unaffordable homes. Dorian Gonsalves, chief executive officer of franchise lettings agency Belvoir, pointed out that demand for rental properties is set to remain high. He pointed out that many young people are actively choosing to rent rather than to become first time buyers and that is not necessarily going to change. ‘The reasons for renting are numerous, and many young people simply do not want the commitment of a 25 year loan,’ said Gonsalves. What was rather unexpected in the Autumn Budget was the announcement that capital gains tax (CGT) will be imposed on all real estate types, to be effective likely by April 2019. Currently, CGT is only imposed on residential property. This, however, is unlikely to affect investor appetite much, as many other jurisdictions already impose CGT on foreign property investors. Additionally, the robustness, transparency and resilience of the UK property market — on top of the weakened pound — continue to remain top criteria for foreign investors. The Autumn Budget has also given local councils the authority to double taxes on empty properties. 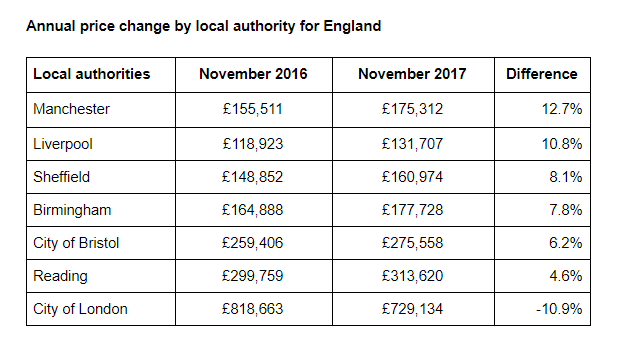 Under the new rules, local councils can charge up to an extra 100% of council tax if a home has been empty for two years or more, up from the current 50%. Looking for projects below the £300,000 and £500,000 (London) range? Contact us at 03-2162 2260. For over 250 years, one UK city has built its reputation for creating more than its fair share of world firsts. Guess which city that is? For much of the time it existed, Manchester was a manorial township, with peasants working the fields for the Lord of the Manor. It was only during the turn of the 19th century that Manchester underwent a transformation, and grew at an astonishing rate. This expansion and urbanisation was brought on by a boom in textile manufacturing during the Industrial Revolution, and resulted in Manchester becoming the world’s first industrialised city. 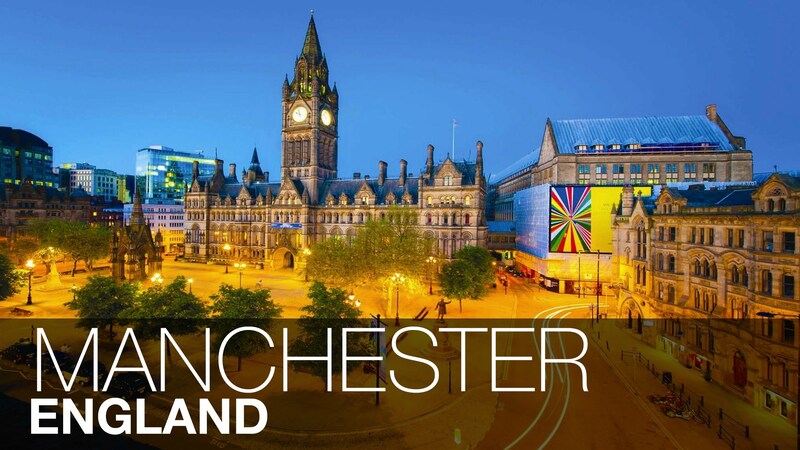 Today, Manchester is known as the UK’s second city. With 50% growth in the last 10 years, it is the UK’s fastest-growing city and Europe’s second largest creative tech hub. Around 70,000 people now work in the city’s creative, digital and tech industries and a rich talent pool of over 110,000 thinkers thrive in the four leading universities there. Many defining achievements in science and technology come from Manchester. It’s where the world’s first IVF baby was conceived, where they split the atom and isolated graphene. It’s also where the world’s first stored programme computer was built. A total of 25 Nobel prize winners have come out of Manchester! Massive amounts of investments have gone into Manchester as part of the British government’s Northern Powerhouse push. Starting from this year, £1 billion will be spent to transform the Manchester airport, further establishing Manchester as one of the most connected cities in the world. The city already boasts direct connections to many of the world’s major capitals, like New York, Hong Kong, Singapore and Beijing. The new High Speed Rail (HS2) under construction will cut travel time between Manchester and London from the current 2 hours to just over an hour when it is ready, and, in its second phase, also reduce the time required to travel to Birmingham and Leeds. Manchester’s staggering development makes it an attractive place for investors looking for the next big thing to invest in. Property, in particular, is a solid choice as there is a growing demand for housing in the city. Manchester registered a 7.3% increase in house prices over the past year, topping the list of all cities in the UK. This demand is bound to rise even higher as Manchester’s economy grows, and more and more jobs are needed. Where the world’s first stored program computer was built. A rich talent pool of over 110,000 thinkers from four leading universities. Between 2015 and 2017, over £1 billion was spent on the city’s infrastructure. Home to some of the world’s biggest brands which contribute to Manchester’s £50 billion economy.